If you’ve recently noticed blood on your toothbrush, it might be a sign that you should focus more on gum health. Along with maintaining clean, white teeth, good oral health means having pink, well cared for gums. Periodontal (gum) care is crucial for a healthy smile. Studies have proven that gum disease affects one in every two adults in the United States and is the leading cause of tooth loss. Common warning signs for this oral health condition include tender, red, and swollen gums. The only way to manage periodontal disease is to attend regular dental visits at Docklands Dental Studio. Think you might have gum disease? Call 03-9021-9487 today to schedule an appointment with one of our experienced dentists at Docklands Dental Studio. Many patients are unaware that they suffer from periodontal disease. Although there are clear indicators that you may be at risk for this condition, it’s easy to brush off symptoms and chalk them up to brushing too hard. If you’ve experienced any of these symptoms, you should schedule a dental visit at Docklands Dental Studio. One of our well-trained dentists will examine your teeth, gums, and jawbone to determine if you’re in need of a periodontal cleaning. How Would I Get Gum Disease? Most commonly, patients develop periodontal disease from years of poor oral health. When you fail to effectively remove bacteria from your mouth, it begins to accumulate. The bacteria begin to wear down teeth and ruin gum health. Gingivitis is the lesser form of gum disease. Red, swollen, tender, bleeding gums appear in this stage. A common side effect of gingivitis is untreatable bad breath. Often, with proper preventative measures, the condition can be stabilized. However, if left untreated, it can develop into periodontitis. At this stage, patients are susceptible to gum recession, tooth loss, and even bone degeneration. Gum disease has been linked with severe medical conditions, such as diabetes, cardiovascular disease, and stroke. Patients with this oral health condition must seek out professional help, in order to manage the disease. Although periodontal disease is irreversible, symptoms can be managed at Docklands Dental Studio and progression can be stopped. At Docklands Dental Studio, we conservatively treat gum disease by performing a deep cleaning that involves scaling and root planing. Scaling is performed to remove the harmful bacteria build up around the base of the tooth to improve oral health. Root planing smooths delicate tooth roots and cleans the affected area below the gum line. After treatment, you may need to come in for more frequent routine dental cleanings in order to maintain results. Gum disease can be prevented with good oral hygiene. We encourage our patients to schedule biannual dental checkups and professional cleanings to ensure a healthy mouth. Not only is it important to attend dental visits; it’s also imperative that you practice good oral health at home. 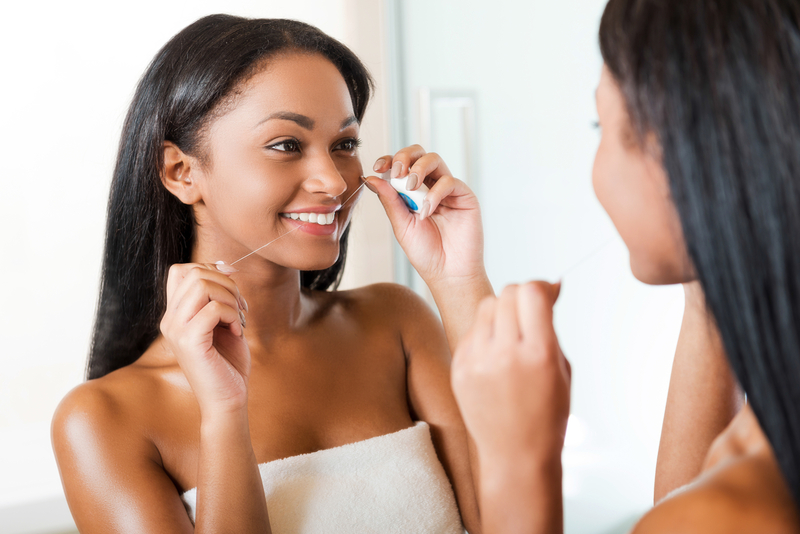 We recommend brushing your teeth twice a day with fluoride toothpaste and flossing after each meal. Using an antibacterial mouthwash at least once a day will kill harmful bacteria that lead to unwanted oral health conditions. If you practice the recommended methods, you’ll maintain a healthy mouth and fresh breath. For more information, call 03-9021-9487 to schedule an appointment at Docklands Dental Studio. We look forward to hearing from you. Our dental practice is within a 30-minute commute from North Melbourne or West Melbourne by taking bus or tram into the city. Then hop on Tram Number 11 or 48 from Collins St. towards Docklands and get off at Collins Landing (Stop D17).